Great review, I have a royal blue acrylic Diplomat from way back. Glad to see the company re-energized. I too am glad Diplomat is back. The crew of Hillary and Larry in Southern VA are making great progress in the USA. The Optima flex would make a great pen to review, I’ll contact Aurora and see I can get one. Would love to see your take on the Lamy Aion. I was a bit disappointed with this new pen but would like to see your take on it. The Aion has been a winner from the start. Please send me a message as to what you dont like. It will be helpful in the review. Hey Randy, we drew another winner for the Diplomat and your name was chosen. Please email me at ejaycock13@Gmail.com and cc bert at info@bertramsinkwell.com with your contact info within 72 hours and I will get your new pen out to you. Great review! 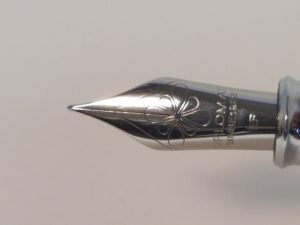 I would like to see you review the Faber-Castell Loom, because I think it is a great higher end starter pen, and for some reason it doesn’t get the attention that the usual suspects do (Lamy and Pilot). Agreed the FC Loom makes a great starter pen, I’ll get started on something this weekend. The original winner never claimed her prize, so I drew another number which was “3” and since you are the 3rd to comment… you are the winner! Please send me and an email at ejaycock13@gmail.com and cc Bert at Info@bertramsinkwell.com with your shipping details and I will get your new pen out to you. Congrats and I hope you enjoy it. Would like a review of the Pineider La Grande special editions. Beautiful to look at, how do they write and feel to the hand? Will do on the Pineider’s as they will all have the new flex nibs which I have written with and they are truly amazing. Might even get one to write about before they ship. Keep and eye out. Excellent review with good pertinent information. Not knowing what other pens you have reviewed, I don’t have a recommendation for your next review. 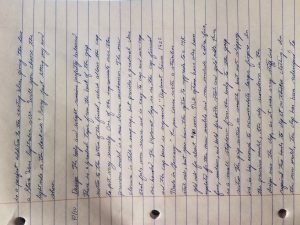 Please check out the blog when you have a moment as Eric and myself have reviewed many different pens and are always open to new ideas with what to write about. I’d be interested in reviews of the Colorverse Ink line. Ive reached out to CV but have not heard back, stay tuned!! Hi Eric! Thanks for a great review. I have small hands and short, stubby fingers. What’s the length of this Diplomat A2 Skyline? Also, I’d appreciate a review of the TWSBI mini and good journaling paper. Thanks. Online Switch, like the color and versatility, stylist tip. Would you please review Papier Plume inks next? Thanks for the suggestion Mark but I’m not sure the the folks at PP sell their inks to dealers. I actually have a bottle of their Street Car Green and a bottle of Red Beans and Rice that I picked up when I was in New Orleans this past October. I can work to get a review done of them over the next few weeks. Thanks for the suggestion Lee, I’ll put the Stresemann gray on the list. Looks like a nice pen. Diplomats are nice writers, and I like the little tweaks in their designs. Maybe one of the new Conklin next blog? Nice review! I have a green Diplomat Excellence which I love. Would love to try out this new version in red. 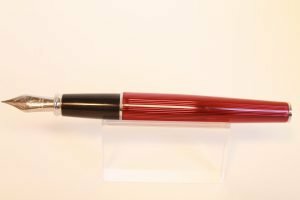 Could you do a review of the Sheaffer Targa/Imperial Triumph next please? I have an Excellence that the folks at Diplomat gave me many years ago, I still use it as a go to pen. Today I wrote a TYN to a customer I had not heard from in many years and used my Slim Targa dated 1983-5. Really enjoy using the inlaid nib in the Targa and Triumph’s. Very nice review. I have only recently learned of this pen. 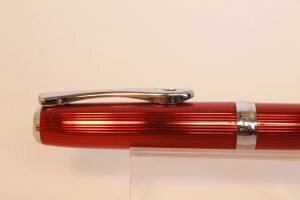 I have been enjoying my Pelikan m200 and I would love to see your opinion. I have the black version with a fine nib. Thanks for the opportunity! The M200 is a great pen, much lighter then the Diplomat as the materials are different. Haven’t done a review on the M200’s but I’ll put them on the list. I love the finial on top, so pretty. I would be interested in seeing something on the Colorverse inks. They seem to be all the rage right now, but all I have seen is one color at a time, I would like a side by side of all of them. 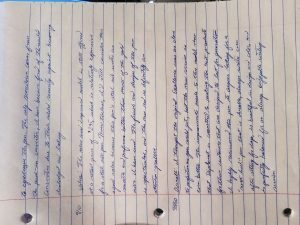 I really like Diplomat pens and like the review. I have an older Diplomat that so far could not be identified for model. As far as reviews I would to one about Birmingham Pen Company inks. I have used some and like them, but like your opinion. I can try to help on the identification best to send me a couple of images first though. Not familiar with the Birmingham inks but I’ll keep a look out for them. I will send a separate email to you with pictures. Thanks for offering to try to determine the model of Diplomat Pen I have. I couldn’t figure out how to attach the pictures to this email. Beautiful looking pen. Would love to see a review of your best fountain pen friendly paper, notebooks etc. This looks like a lovely pen although I am not familiar with the brand. I am partial to reds. I would to get a music nib; so I would be interested in a comparison of some the ones out there. I know some have 2 tines and some have 3. Is one better than the other? Thanks for checking in, if your partial to reds then this pen is for you, pure and simple fire engine red. While Diplomat does not make a music nib I’m sure if we built you a pen with a 14kt broad I could have it ground down to a music. Yes some music nibs are split twice and others 3 times this is all due to different designs from different manufacturers. One better then the other, I’d say no. 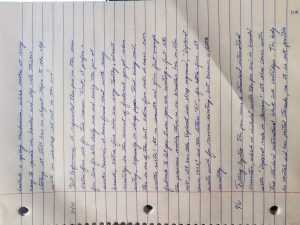 For a review, I’m looking forward to your review of the Pelikan m600 White Turqouise. Seems to be a very divisive pen among reviewers, so I’m eager for your reflections on it. As the M400 was a little to pink for some fellas so too might the the Turquoise BUT! The Pink was gorgeous as will the Turquoise I’m sure. And when the 2 are side by side or with the M400 white in between that will all be forgotten. Great review! Looks like a great fountain pen. Love the color! Hope to have some exclusive versions coming soon too. This pen looks gorgeous. I enjoy reading about pens I wouldn’t otherwise get to handle because they’re out of my price range. I’m thinking about buying a Pelikan so I enjoy reading about the different models. I’d love a review of the M400 turquoise when it comes out. I liked in your review that you compared other similarly priced pens. It helps to gauge the value to have those comparisons. For sure some pens can get quite expensive, I do have a special price on the Skylines, please do check um out. Who knows you might win when we do the drawing. I will for sure doing a review on the M400 Turquoise. Please keep and eye out for it. I’m not particularly fond of red, but that pen looks sharp! Can’t wait to dig into some of the older reviews on the site. The red is an eye popper for sure, but as far as red pens go, I think this one is gorgeous. Keep an eye out as we try to mix things up a bit on this one. That’s an attractive pen to be sure! I especially favor EF nibs and am glad to know this one is a winner. Thanks for the review! Diplomat doesn’t get the attention it deserves. Yes the EF nibs on these pens are really nice writers. Agreed that Diplomat doesn’t get the attention it deserves, not sure why as the quality stands above the rest out there. Thanks for the review….I’m not as familiar with the brand, but it sounds like a wonderful pen. I’m thinking the next review should be a little more exotic ink…perhaps something like Krishna’s Anokhy or similar? Nice review; I have a Diplomat of unknown model made for the Orient Express train and carrying the train’s branding that I really like. As for what’s next, how about the Diplomat Aero? I’ve been looking at those…. Loved the review. Would enjoy seeing something on the Laban Artiste Pen. Don’t know much about them. Great review. I don’t really need flex so I tend to prefer steel nibs anyway. There seems to be more steel nibs over $200, even $300 but so far they tend to be of great overall quality so it might not be fair to judge the price based solely on the price. I just purchased the steel nib Montegrappa American Dream for just shy of $300 and am looking forward to getting in the next few days. I meant to say, it’s not fair (something many people do) to judge the pen based on the price just because it has a steel nib. Anyway, I would be interested in a review of Franklin Christoph fountain pens. I’m considering getting but not sure which. Maybe the Iterum. More and more pens are coming with steel nibs. A great pen with a steel flex is the Marlen Aleph. Conklin will also have all of their fountain pens available with the new flex nibs, stay tuned for that. Enjoy your Montegrappa AD. That is a beautiful pen and thank you for your detailed review. 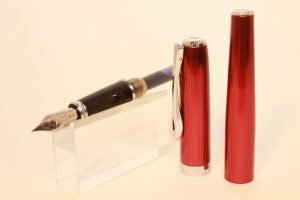 I have a Pelikan M800 and would love to see the M1000 reviewed, using the M800 as a basis for comparison. Nothing in the rotation for a M800 vs M1000 currently but will give it some thought. What a stunning pen with a bold presence! I too like the EF nib for daily note making, and I’m glad to know that this beauty is as durable as it is gorgeous. Thanks for a great review! Excellent review. What would you say was the most important improvement from the previous generation? Improvements with Diplomat? Many, in the materials they use, metal threaded sections VS plastic in the ole days. The feed is much better then my older Diplomats. They used to sell tons of cheaper models to Staples and I think that gave the brand a bad rep. The improvements in just the excellence A plus with the clip now spring loaded and cap clutch smoother and not as hard to pull. are by far are the biggest improvements and those two are very recent as in a couple months. 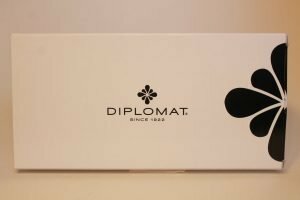 I like the review, been wondering about diplomat so this helps. Would love to see you review Color Verse inks, or Akkerman Dutch Masters line, Pens I would love to see a review on the Pineider La Grande Line, or the Pelikan M400 Turquiose. Or any of hte 2018 Visconti Releases! Now your putting me to work, some of those are in the line up now. But I dont carry the Akkerman. 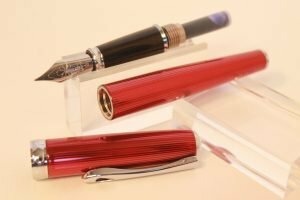 Pineider is coming out with a flex nib that will change EVERYTHING!! Had dinner with Dante Delvecco of Pineider and Ken Jones the US distributor when I wrote with it, EPIC! Great review! I’d love to see a comparison of inks like Pilot Iroshizuku Yama-budo and Colorverse Einstein Ring. Love to get my hands on some more of that Colorverse ink. Stay tuned! Hello. Thanks for these reviews. I am new to fountain pens and already love them. I have redirected two vintage pens to perfect working condition after being stored for decades. 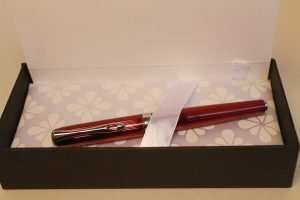 A review of the scribe sword, which motivated my teenage son to build enthusiasm in all of us for fountain pens. 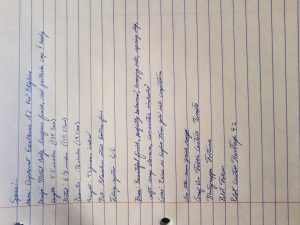 I am new to fountain pens. These reviews have been helpful for me. 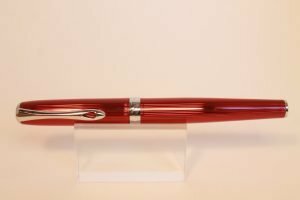 Welcome to the world of fountain pens, your in for a fun ride. We are here to help so please do not hesitate to ask. Have bought some inexpensive pens and am looking into buying a nicer one. This pen looks fabulous. Absolutely lovebthe color of it! This is very exciting! 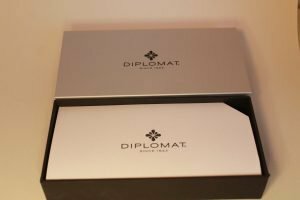 I’ve been wanting a Diplomat for a while now, and I’m especially excited at the chance to win on with an EF nib! Next, I would love to see a review of Doane Paper. Or, I would love to get a list/review of the safest, yet most saturated inks for FPs. And best of luck on the drawing, Not familiar with the Doane paper but will look into it. I have the Aero in black, which is one of my favorite pens. I was surprised at how good the nib was out of the box. I hear that form a lot of folks how impressed they are with how these pens perform outta the box. That Aero sure is a cool pen too. Fantastic review, I love the detail. Congrats Sheila! You were picked as the random winner for the Diplomat and ink cartridges!!!!!! Please email myself at ejaycock13@gmail.com and cc Bert at info@bertramsinkwell.com with your shipping information. I will get your pen out to you this week. When ever you are ready for the A2 I’m here to help, just let me know. Agreed the E-95 would make for a good review. I’ll look into it. 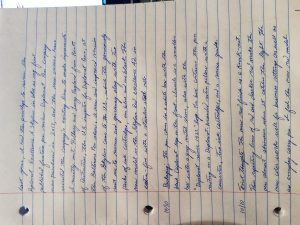 When I lived in Germany, we all used Pelikanos and, less often, Geha fountain pens in school. Even Lamy was a rare sight back then. I wish I had known about Diplomat at the time so I could have had another alternative for schoolwork. An interested in seeing how the Diplomat compares, especially in an EF nib, to my other German pens. Thanks to you and to Point if Distinction for the giveaway! As a happy owner of an Excellence B and a Mangum SoftTouch, I am curious about the new direction the company is taking! For your next review, I would suggest the Montegrappa Blazer. As an owner of a Resin Fortuna, I am curious about how it compares in terms of weight and balance. I’m sure owners of a Mule or a Wood Fortuna would also be interested to know. While I would certainly have to see it in person before pulling the trigger, I’d like to know your honest opinion on the aesthetics of it as well. Thanks again! For some reason when I bought my Excellence A, the pen did not come with a converter (only two cartridges). I bought the EF nib in gold and it is a very good daily writer, especially if paired with a more lubricated ink. I wish you can review the A2 in gold EF. I know many say the steel nib is every bit as good as the gold nib, but I really wish to see more head-to-head comparisons. Sorry to hear your pen did not come with a converter, if you like send me a message and I’ll send ya one. I actually bought my pen directly at Points of Distinction. In fact, I am not sure if they have ever claimed their pens come with a converter and so I didn’t say anything when I opened mine and saw two cartridges only. :> Maybe I should talk to them? Hey everyone! There were 42 entries for the Diplomat, I used a random number generator and the 39th comment was selected as the winner. Thank you everyone for entering and keep an eye out for future reviews and giveaways. 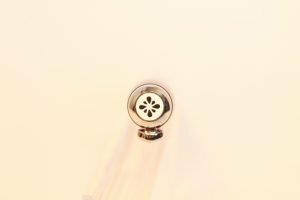 Be sure to subscribe to the blog to stay up to date with all new posts.